Our education focus is oriented toward increasing awareness among children and adults on the need to conserve natural areas of the country and to give our members the tools necessary to understand and act as responsible citizens and a friend of nature. Currently, we are supporting the Formond Community School near Macaya National Park in an effort to educate tomorrow’s stewards of this important protected area of Haiti. See video of Formond school. SAH maintains a presence on the campuses of two private universities – Quisqueya University in Port-au-Prince and American University in Cayes – where we engage daily with faculty and students. One of the SAH founding members, Jacky Lumarque, is the Rector of UNIQ. 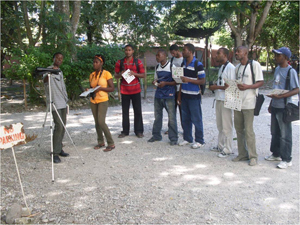 Our programs offer basic information on the fauna of Haiti, protected areas and conservation approaches. 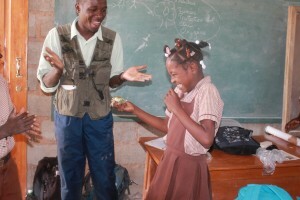 Teaching guides have been developed to support our education program, including A la Découverte des Oiseaux d’Haiti, a manual for children beginning at 8 years that covers the most common and special birds of Haiti; Les Oiseaux d’Haiti et de la République Dominicaine, a reference guide to 230 birds found on the island; Ti Zwazo Kote w a Prale, a Creole guide to the birds of Haiti. We educate the public and our government officials on a continual basis through debriefings, seminars, conferences and various media outlets. These educational opportunities are important to identify critical conservation needs in Haiti and to focus the debate on the necessary changes that are needed to reverse Haiti’s environmental degradation and address the challenge of conserving natural areas for tomorrow’s generation. Our staff lead courses designed to acquire special skills necessary for conservation science and protected area management. 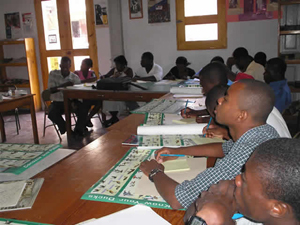 These include training at internationally recognized institutions as well as sharing technical and scientific knowledge with local groups interested in Haiti’s natural wealth. 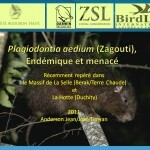 Since 2003, Société Audubon Haiti (SAH) has been at the forefront of conserving Haiti’s unique biodiversity and natural areas. 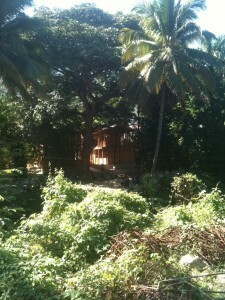 SAH is focused on helping Haitian citizens improve their quality of life by conserving the natural areas of the island. To conserve the biodiversity and natural ecosystems of Haiti through research, education, outreach and national/international partnerships.